From The Internationalist and International Institutions and Global Governance Program. Coauthored with Kyle L. Evanoff, research associate for International Institutions and Global Governance at the Council on Foreign Relations. This post is the second entry in the blog series Averting Global Catastrophe, which examines global catastrophic risks, including their likelihood and potential impact, and international cooperative measures to mitigate them. Technological innovation and strategic competition appear to be increasing the risk of nuclear war. Mending the fraying international nuclear nonproliferation and arms control regimes should be a top global priority. A mushroom-shaped plume of fire and smoke towered over the New Mexico desert in the early hours of July 16, 1945. The Trinity nuclear test, the first of its kind, signaled the successful culmination of the Manhattan Project and the beginning of the Atomic Age. The United States had gained the means to level cities in a single blast, a capability it employed to devastating effect the next month in the skies over Hiroshima and Nagasaki. During the subsequent Cold War arms race, the United States and Soviet Union generated immense thermonuclear arsenals of almost unimaginable destructive power. Thanks to the logic of deterrence and plain dumb luck—the relative contribution of each up for debate—no country has used a nuclear weapon against another since 1945. Russia and the United States, the leading nuclear powers, have reduced their arsenals from Cold War highs by 89 percent and 87 percent, respectively. That is the good news. The bad news is that the nuclear nonproliferation and arms control regimes are fraying badly, as newer nuclear powers expand their arsenals, as non-nuclear nations reconsider whether to acquire such weapons, and as uneven technological advances, including in the domains of cyberspace and outer space, undermine the calculus of deterrence. After seven and a half decades of uneasy nuclear peace, an increasingly crowded and complex international landscape has renewed the specter of catastrophic nuclear war. Nuclear anxieties have returned in force. They have been front and center in media coverage of, among other things: the recent armed confrontation between India and Pakistan, President Trump’s negotiations with North Korean leader Kim Jong-un, the U.S. repudiation of the Iran nuclear deal, Washington’s intention to withdraw from the Intermediate-Range Nuclear Forces (INF) Treaty with Russia, and U.S. plans to modernize its nuclear arsenal. If a nuclear sword of Damocles continues to hang over humanity’s collective head, it is now joined by a proverbial axe, mace, and spear. In 2018, the Bulletin of the Atomic Scientists moved the hands on its Doomsday Clock, created in 1947 to symbolize the risk of nuclear Armageddon, to two minutes to midnight—a proximity matched only once before, in 1953. Last month, the Bulletin chose to keep the hands there. Humanity has traipsed into a “new abnormal,” its editors lamented: Awash in disinformation and riven by geopolitical fault lines, the world teeters on the brink of catastrophe. Some critics find admonishments of this sort alarmist and unhelpful. 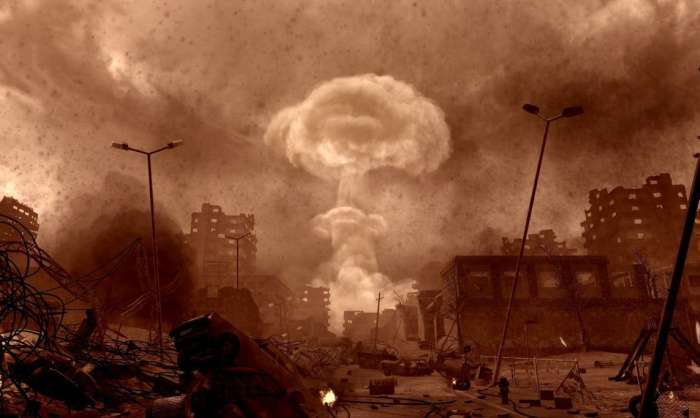 Nuclear weapons have fueled apocalyptic anxieties for decades, as Cato Institute Senior Fellow John Mueller recently noted in Foreign Affairs. An unhealthy obsession with their risks, he suggests, detracts from sensible decision-making. However, the historical record provides ample grounds for concern, given how close nuclear powers have come to using these weapons against one another, both intentionally and inadvertently. The litany of near-misses and false alarms makes for sobering reading. During the 1962 Cuban Missile Crisis, U.S. President John F. Kennedy assessed the likelihood of nuclear war to be more or less a coin flip. In 1995, Russia misinterpreted a Norwegian rocket launch as a possible attack. And just last year, the State of Hawaii’s Emergency Management Agency erroneously issued an incoming ballistic missile alert. Seth Baum, executive director of the Global Catastrophic Risk Institute, estimates the rate of such incidents at one per year. Magnifying the risk of accidental or unauthorized nuclear war is uncertainty over the security of command and control structures to manage and use these weapons. In his harrowing 2017 tell-all, The Doomsday Machine: Confessions of a Nuclear War Planner, Daniel Ellsberg (of Pentagon Papers fame) chronicles the pathologies of the early U.S. nuclear apparatus. These included strong incentives to subordinate safety to offensive readiness, as well as “safeguards” against unauthorized use that consisted of little more than a sealed envelope. Given these shortcomings, Ellsberg notes, Stanley Kubrick’s classic satire Dr. Strangelove bore uncanny resemblance to a documentary. The same vulnerabilities may afflict more recent nuclear powers, not least Pakistan and North Korea. Meanwhile, nuclear proliferation and technological innovation are undermining much of the game theoretic logic of deterrence, which has long been central to nuclear strategy. In its most basic form, deterrence relies on the threat of retaliation to discourage adversaries from striking. The logic works best in a simple bilateral contest between rational, unitary actors. It begins to falter in a messier world of multiple countries, fragmented national authorities, and irrational leaders. Technological innovation also complicates nuclear deterrence. Cyberweapons, antisatellite weapons, hypersonic missiles, artificial intelligence, and other innovations are challenging longstanding assumptions, blurring distinctions between conventional and nuclear war, and exacerbating ambiguities in the international balance of power. Deterrence, in sum, is becoming a riskier bet. The failure of nuclear deterrence could precipitate global catastrophe. How big a catastrophe would depend on multiple factors, including the number and destructive power of the weapons used and their targets. A significant exchange could kill tens and even hundreds of millions of people in the initial blasts and ensuing firestorms, as well as from dispersed radiation, which is indifferent to national borders. Groundwater contamination, “black rain,” and other localized hazards would add to the devastation. Disruptions to global supply chains would forestall recovery in affected areas and could threaten access to food, medicine, fertilizer, and other essential goods elsewhere. Starvation and exposure to radiation would weaken immune systems and increase susceptibility to disease. All of this would occur in a context of degraded communication networks, hair-trigger military force postures, and rampant fear and uncertainty. The aftermath would be nightmarish by almost any measure. 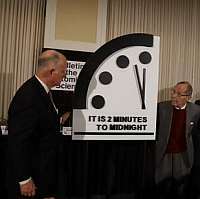 The scientific jury on nuclear winter and its more mild form, nuclear autumn, is still out. Recent studies [PDF] suggest that nuclear war would indeed have significant environmental effects. What remains disputed is how widespread and enduring these would be. In 2007 [PDF], some of the same atmospheric scientists who had popularized the nuclear winter scenario found that a regional nuclear exchange between India and Pakistan involving 100 Hiroshima-scale blasts would be sufficient to trigger cooling exceeding that of the “Little Ice Age,” which lasted from the early 14th century to the mid 19th century and saw a 0.6 degrees Celsius decline in mean annual temperatures across the northern hemisphere. The resulting decrease in agricultural productivity, which might take up to a decade to attenuate, would put two to three billion people [PDF] at risk of starvation. These findings, however, remain contested, dependent on assumptions about the flammability of modern cities and the amount of soot that would reach the upper atmosphere. A study from 2018 casts doubt on the magnitude of climatic effects from a regional nuclear war. With luck—or, preferably, smart policymaking—humanity will never need to find out which side of this argument has it right. With no nuclear weapons having been used in conflict in seventy-four years, it is tempting to conclude that nuclear war is an improbable contingency. It is comforting to believe that regardless of geopolitical crises or false alarms, the political and ethical bar to using nuclear weapons remains high. This mindset suggests that escalation ladders are difficult to climb, at least in normal times. Ours, however, are not “normal” times, if such times exist at all. In a recent issue of Foreign Affairs, Andrew F. Krepinevich Jr. argues that we should no longer think in terms of escalatory “ladders,” as has long been the norm, but instead in terms of a “web,” thanks to the complex linkages between multipolar nuclear competition, advanced weaponry, and new understandings of the psychology of decision-making. This web suggests more complicated dynamics of deterrence and an increased number of potential failure points. Worse, perhaps, the longstanding taboo against the use of nuclear weapons may be at risk of vanishing, particularly when it comes to growing interest by some nations in tactical nuclear weapons and maintaining a capability for waging “limited” nuclear war. The world’s nine nuclear powers are expanding and modernizing their arsenals, spending trillions of dollars collectively to produce atomic munitions and upgrade delivery systems. At the same time, strategic competition in Asia and the Middle East is increasing incentives for countries to go nuclear, raising the danger of a nuclear cascade. Reducing the specter of catastrophic nuclear war requires first of all strengthening existing arms control and nonproliferation regimes, to reduce the number and salience of nuclear weapons, as well as their spread to new state and nonstate actors. Pressing multilateral priorities include ratifying the Comprehensive Test Ban Treaty (CTBT), which would prohibit nuclear explosions; bringing into force the Fissile Material Cutoff Treaty (FMCT), which would prohibit the further production of nuclear weapons material; achieving universal adherence to the Additional Protocol of the International Atomic Energy Agency (IAEA), which would enhance the agency’s ability to detect declared and undeclared nuclear programs; amending the Treaty on the Nonproliferation of Nuclear Weapons (NPT) to make it illegal for parties to withdraw from it (as North Korea did); preventing North Korea’s production of additional nuclear weapons; keeping united pressure on Iran, ideally with the United States rejoining the Joint Comprehensive Plan of Action (JCPOA or Iran nuclear deal); accelerating progress by acknowledged nuclear weapons states in meeting their disarmament obligations under Article 6 of the NPT, consistent with minimum requirements for deterrence; moving forward on negotiations to extend the New Strategic Arms Reduction Treaty (New START), which is slated to expire in 2021; and bringing India, Pakistan, and Israel into the NPT. Achieving progress on this extensive agenda will require modifications of existing U.S. policy. For instance, the Trump administration would need to reverse its opposition (made explicit in the 2018 U.S. Nuclear Posture Review) to the CTBT. It would need to negotiate a replacement for the INF Treaty with Russia, which the administration repudiated, ideally one that expands its provisions to new signatories, notably China. Third and perhaps most important, the United States needs to beware lowering the threshold for the use of nuclear weapons. In its 2018 nuclear posture review, for example, the Trump administration suggests that it reserves the right to counter catastrophic cyberattacks with nuclear weapons, a position that could help deter cyberattacks but might contribute to nuclear instability. These steps are necessary but not sufficient. Any efforts to govern new and potentially transformative technologies must take account of the possibility of those technologies exacerbating risks in the nuclear realm. Governments will also need to develop international regimes that reduce the likelihood of cyber-intrusions threatening nuclear weapons infrastructure, as well as cogent cyber deterrence strategies and broader norms against devastating cyberattacks from state and nonstate actors alike. Nuclear powers also need to build more robust systems of command and control to prevent accidental nuclear war. In 1979, a watch officer awakened then-U.S. Undersecretary of Defense William J. Perry to inform him that 200 Soviet intercontinental ballistic missiles were inbound to the United States. “For one heart-stopping second I thought my worst nuclear nightmare had come true,” he later recalled. It turned out that somebody had inserted a training tape into an early warning system computer. Perry himself has proposed one potential reform to reduce the chance that false alarm leads to Armageddon: Shift the United States—and in principle other nuclear powers—away from reliance on vulnerable land-based ICBMs for deterrence, and focus primarily on sea and air-based weapons. While hardly failsafe, this would reduce some of the time pressure of having to launch within minutes due to the “use it or lose it” dynamic at play. In addition, the United States will need to work with other nuclear powers—not just Russia—to ensure that nuclear weapons are kept off so-called “hair trigger” alert. But other reforms are also needed, to insert greater checks and balances into nuclear attack decisions. Structures of command and control, after all, are only as good as their commander and controller. U.S. nuclear doctrine is particularly problematic in this respect. It places extraordinary authority in the hands of a single person to decide the fate of millions, potentially billions, in a single moment of crisis. Whatever his or her judgment, temperament, state of mind, senility, or sobriety at that instant, the President of the United States has the power to order a nuclear attack, with no more than a few minutes of consideration in the case of a retaliatory strike. Today, that person is Donald J. Trump. Reliance on any one individual to take the most fateful decision in human history is deeply problematic. While this may be inevitable in a totalitarian state like North Korea, it collides with democratic principles in a nation like the United States. In an effort to introduce some Constitutional checks and balances into such decisions, Congressman Ted Lieu (D-CA) two years ago introduced the “Restricting First Use of Nuclear Weapons Act of 2017,” which would require a congressional declaration of war before the President could order a (non-retaliatory) nuclear strike. Others have forwarded alternative proposals. Humanity’s ultimate objective should be to rid the world of these destructive devices. That has been the animating vision of the Global Zero campaign and the motivation behind the Treaty on the Prohibition of Nuclear Weapons. Negotiated in 2017 with strong support from transnational civil society, that convention prohibits states parties from developing, testing, producing, manufacturing, acquiring, possessing, or stockpiling nuclear weapons or other nuclear explosive devices. It will enter into force ninety days after the fiftieth nation has ratified it. As President Barack Obama recognized in his celebrated Prague speech of spring 2009, complete nuclear disarmament is unrealistic in the near or even medium term. It remains a goal for a distant horizon. However, that should not leave the United States and other nuclear weapons states off the hook. It is incumbent on all of them to adopt policies that reduce the value of nuclear weapons as a currency of power in world politics; to consider how innovations in artificial intelligence, cyberspace, outer space, and other arenas might undermine the dynamics of deterrence; and to avoid escalatory rhetoric and policies that risk spiraling out of control and imperiling millions.